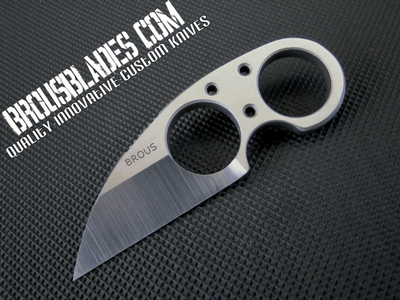 Brous Blades - Silent Soldier SSv1. Overall Length 4.25". Blade Length 2.25. D2 Blade Steel. Kydex Sheath.